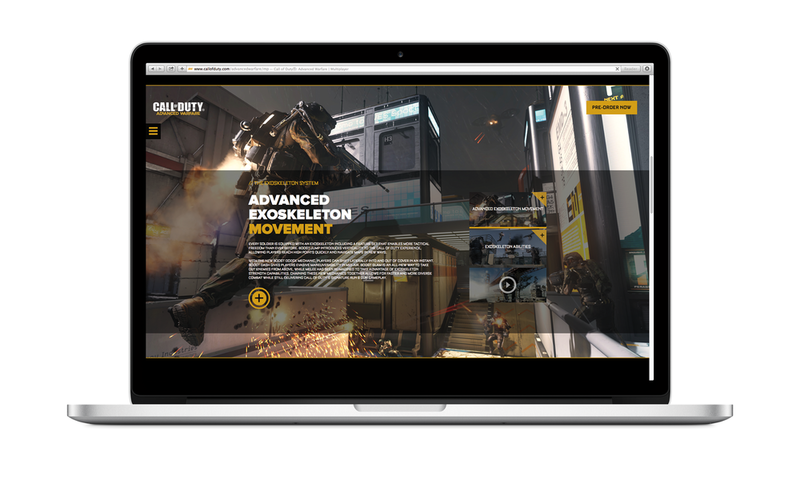 I've had the pleasure of working on all digital Call of Duty: Advanced Warfare (CoD) initiatives for the past year. Responsibilities ranged from concepting on launch ideas to designing the official website's architecture and UX. The team has pitched and won a number of projects for this franchise. 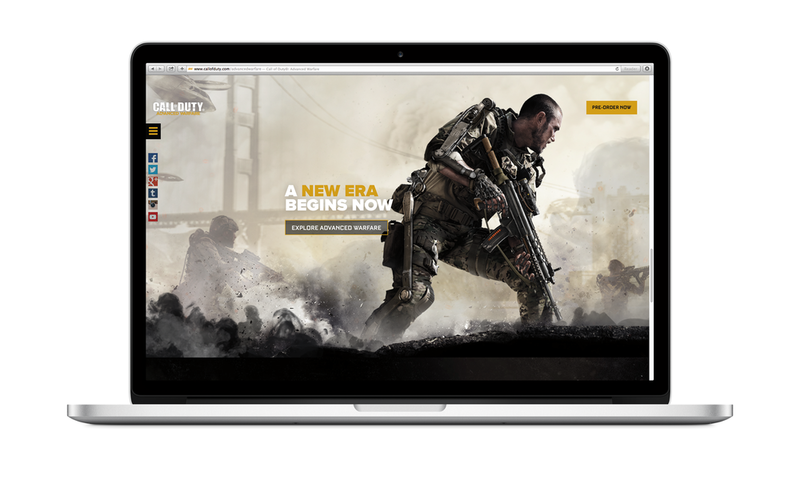 My primary work has been the UX design of CoD.com/advanced warfare, a next generation site for the first CoD game designed on next generation consoles. This site is fully responsive, with full bleed parallaxing imagery to wow and excite fans with explosion-laced fanfare. In addition to the official site design, we sold through was the idea of using the power of additional devices to change the site experience. Power Unlocked adds more hidden content to the site bylinking additional screens through websocket technology. Using Power Unlocked, the team increased site traffic two fold, and quadrupled traffic to the Single Player and Multiplayer pages of the site. Power Unlocked is increasing the buzz around the game by showing developer loadouts, in-game challenges, and much more.